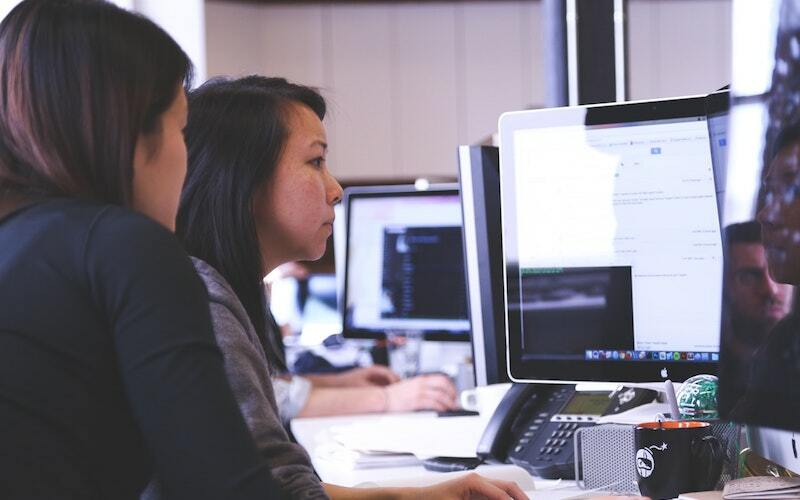 The US News and World Report’s 2019 “Best Jobs” report is out and it’s official: software developer tops the list of 2019’s best jobs. But it’s also one of the gigs where there is the most demand: a quarter-million job openings for software engineers, half a million unfilled jobs that require tech skills, and the forecast need grow to one million within the next decade. CNBC reported that software developers are now more valuable to companies than money. Giants like Cisco or Amazon are deciding on where to expand depending on where software talent is. A recent Gartner survey shows talent shortage is now the top risk for companies, because of the digitalization of their industries and the inability to staff for it. Software engineering, the craft of solving problems and building products with code, is seen by many by a set of skills that is reserved to the genius, with a nerdy personality. While this may have been true in the past, it is absolutely not true anymore. Have you ever thought about becoming a software engineer? Or least learning basics of coding? If you have not, you should, and there is a high chance that you will like it. The industry is attracting high-school graduates but also career switchers such as former guitar teachers, former cashiers, and even former poker players. Do you like to solve puzzles? Are you patient and like to constantly learn new things? Can you collaborate with like-minded people in a supportive environment? If you answered yes to those questions, it’s highly likely that you will love coding. On top of being an exciting job, it pays quite well, with an average salary of $107,000. You can easily get started. The Internet is filled with free resources that will guide you to learn the basics. You can start with HTML and CSS which is what web pages are made of – W3schools has a nice tutorial that will guide you through the basics of it. Youtube and Massive Open Online Courses (known as MOOCs) also have a lot of free resources. Code.org is also amazing if you want to get started with younger students or your own children. After getting your feet wet, take stock of your experience. If you still like it, it’s time to get serious and consider the next step. Bootcamps, 3-months programs, that flourished in the last half-decade in the US are a way to get enough basics that could help you to have a much stronger understanding of software that can be used within a professional context and even get you an entry coding job. If you are serious about having a career in software engineering and have the skills to work for top companies like Facebook or LinkedIn, opt for longer and more exhaustive coding school like Holberton School or MakeSchool. These 2 programs have the advantage of having no upfront tuition, students only contribute to tuition when they find a job. It’s also worth simply speaking to a software engineer to see what the trade is like in practice. Wherever you are, there is a great chance that there is one in your neighborhood – 90% of Software Engineers actually work outside of Silicon Valley! Software developers work in finance, retail, health, transportation, education, defense, media, and tons of other industries. So regardless of your industry or interests (and regardless of your current skill set or resume), there is coding to be done, and you could be doing it. Start by getting your feet wet and see what you think. You may fall in love with one of the fastest growing careers of our generation. Sylvain is co-founder of Holberton School, a college alternative for training software engineers. He was formerly senior software engineer at LinkedIn, where he co-created an automation framework called Skynet. He was also part of the small SlideShare startup team and contributed to the LinkedIn acquisition. He is co-founder of the while42 community, a Tech Engineer Network with 3,000+ members in over 50 cities across the world.